Make 2017 the year you take a step that could be very good for your job search, and probably even better for your long term career success: join a professional association. As we approach the New Year, consider the benefits that association membership can offer. Many people avoid joining out of uncertainty about their value. Others worry that membership will obligate them to yet more tasks that they don’t have time to do. In most cases, membership is only about positives—no negatives. How to decide which professional association to join? The first step is to get an idea of what’s out there. You can find a professional association for almost any career or interest area, related to what you do now, or what you want to do. Some have national, state, and regional chapters, while others are just local. Many fields have a variety of related professional associations to choose from, each with a different focus and benefits. A good place to start is reviewing association websites, which you can link to from CareerOneStop’s Professional Association Finder. Using the Professional Association Finder, you can explore your field using different keywords to find associations most closely related to your interests. For example, say you have an interest in boat making. There are associations that relate to boat ownership, woodworking, navigation, historic aspects, piloting, carpentry, and more. What benefits could you expect to gain from membership? meet other members who may be in a position to hire, or connect you with people who are. Since most job search experts estimate that 70-80 percent of jobs are obtained through personal contacts, this last benefit may be the most important reason to join. And it can be a great way to learn how to talk with people about your job search; as members of the same group, you can depend on having some interests in common and a shared career focus. While most associations have membership dues and activity fees, they will generally allow you to attend some events as a non-member if you want to test the waters before signing up. Many associations offer student membership rates so that you can get involved before graduating, and line up internships and job connections before you have your degree. They may even offer scholarships to those intending to enter the field. It’s also valuable to note your membership on your resume; this shows potential employers your commitment to your field, and that you are connected to recent industry developments. If you’re inclined to set goals, take this recommendation to heart and make a plan to explore associations in your field early in 2017. 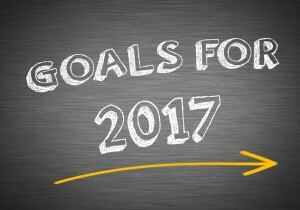 If you’re not inclined to set goals, just jump in and attend a meeting or event as soon as you finish your New Year celebrations. Either way, you will put new energy into your career, and open doors for your job search.